Custom-made original art, gifts and scents. Mama Sunshine's Treasures specializes in original art, exotic gifts and scents. Their custom made, all-natural hair and skin products are simply the best! Stop by Monday through Saturday for an experience you will never forget. 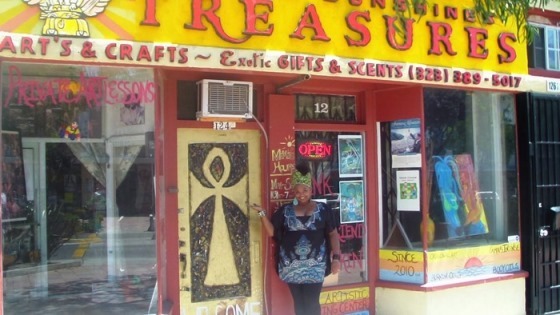 Mama Sunshine's Treasures is located at 124 S Market St, Inglewood, CA 90301.